The former Pyestock glass store is clearly marked. 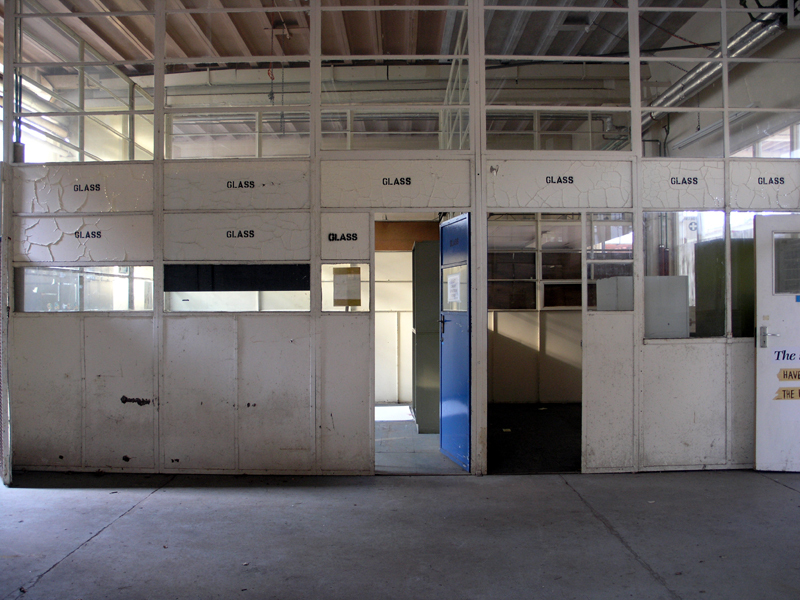 Thankfully due to the (over zealous) labelling, we definitely know that these empty rooms were once stacked with glass. A door to the left (just out of shot) and the door to the right comprise the main western entrance into the Main Stores . North view of the glass stores in the Main Store.